As yogis, when things get tough or unbalanced, we roll out our yoga mats and use our practice to rebalance the equilibrium. Personally, had I been introduced to yoga at a younger age, I feel that my teen years (although fairly calm, relaxed and uneventful by many standards) would have been much more relaxed. Consider playground politics, exam pressures, body image worries and (oh my!) the dreaded dating game!! Giving children the tools to balance their emotions, calm nerves and develop a sense of self is THE way to ensure that our next generation does not end up being disconnected from each other and the planet. Children need yoga!! And they are never too young to begin a yoga practice. There is a vast difference between a lively, excitable 3 year-old, a mischievous 8 year-old testing boundaries, and a serious, under pressure 16 year-old. 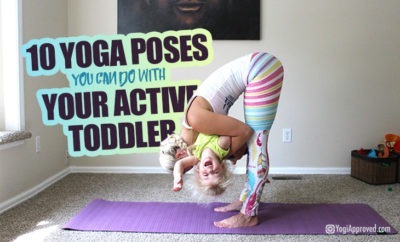 Hence, the yoga you practice with your kids must be appropriate to their age group. Pre-schoolers love stories and imagination. The general pace of this yoga practice is very quick, swiftly moving from one aspect to the next. 5-8 year-olds will still enjoy the imaginative and storytelling aspect, but they have developed the ability and strength to hold poses for longer. At this age, they can begin to immerse themselves a little deeper in the physical yoga poses. 9-12 year-olds are inquisitive and love to learn new things. They are fascinated by how their bodies are changing and different topics such as chakras, the elements, or environmental issues are all great themes to encourage them to learn a deeper sense of self and community. Teenagers need lots of strength, stretches and flexibility work to alleviate the stiffness that has a tendency to restrict the joints during adolescence. Teenage years are when the yoga practice becomes more like an adult practice – teens are ready to begin learning the more advanced aspects of yoga such as pranayama breathing and meditation techniques. Young children are especially sensitive to the changing energies of the day, so be particular on WHEN you think would be the best time to do yoga with them. Yoga must always be a positive experience, so practicing early afternoon when they are tired and their attention span is very short will result in upset, both for you and them. Late morning is perfect – energy levels are high, so children can manage the posture work and high-energy stuff, which in turn helps them slip into an enjoyable, if short, relaxation. For other ages, consider the time of day and year when you are deciding what kind of yoga practice would be most beneficial for the child you are with. For example, a slow, grounding and relaxing practice on an autumn day, or an uplifting and energizing practice in early spring. Music and props can be used to enhance a children’s yoga practice. Use fun age-appropriate music with ‘yogic’ lyrics to help the children connect with their practice. MC Yogi is a popular choice. Music can uplift and relax depending on the type and volume. Props like feathers and scarves can be used to show breath and movement. Have the children lay a feather on their flat palm and try to blow it off – this is a fun challenge for small children as they begin to master the art of directing and controlling their breath. Another good practice is to have the children hold a small hand bell and walk around the circle mindfully in an attempt to keep the bell silent. Mandalas are a wonderful tool to aid in meditation and concentration. You can print them from the internet and have the children color in the beautiful patterns, a great way to focus the mind and calm the little yogi. Remember that yoga is not always based on physical asana. Discussion and creating a safe space for opening up is also vital to children in today’s world. This is an essential component in any child’s yoga practice. For very small children, just lying still for 1 minute while you tell them a story about a magic carpet floating them through the sky is enough! After, be sure to praise their efforts. Small children are worried that they are meant to go to sleep so reassure them that this is not expected. Lying down and staying still is very difficult for little ones, so lots of encouragement is key. Meditation may simply be 10 seconds of concentrated silence with eyes closed. This is all fantastic. Invite them to lay in Savasana (or any comfy position, but encourage Savasana – final resting pose – as a much as possible). Remind them that this is relaxation and not sleep. Encourage some deep breathing to begin the gentle process of relaxing. Notice any tense legs and pointed toes (I assure you there will be) and if they don’t mind, you can hold the ankles and shake the legs for them, wiggle them side to side and pull slightly on the feet to encourage relaxation. Depending on age, or energy level, you can either begin to bring them out of their Savasana at this point, or if you feel it appropriate, tell them a story that brings them on a magical journey – to a special place / fly through the sky to a rainbow / journey on their own cloud – get creative! When you’re ready, slowly ease them out of their resting state by instructing them to wiggle fingers and toes, stretch, hug knees into chest, etc. Meditation can be joyfully explored as the kids begin to allow themselves to find that mindful peace. Chants are excellent for giving children an initial focus and help them find their voices. The Kundalini yoga meditation of repeating the mantra Sa Ta Na Ma while touching each finger to the thumb on each word is a little yogi favorite. Remember – no matter what the child gets out of their fun yoga practice with you, it is all yoga and will benefit them. 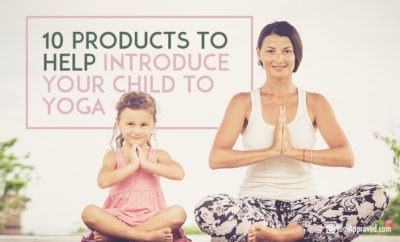 To allow children to experience yoga from a young age is an incredible gift and will always be a positive aspect to their day, their wellbeing, and their lives overall. Trust your instincts, enjoy their company, and empower these precious little yogis to be the perfect person they already are. Jo specializes in teaching yoga to children with special needs and teens under 18. She also mentors and supports other like-minded goddesses to achieve their goals. When not teaching, coaching, or writing, you'll find Jo at home with her son playing at amateur dramatics and eating Indian food.